The Coffee is free and open to veterans of all ages and is an opportunity for our local veterans to meet, share stories, and enjoy informal presentations by community organizations. Around the country and here in North Carolina similar events are being held to provide veterans a place together and for local health and human service organizations to show their support by offering a casual environment where veterans can meet and learn about services available to them. Organization (NHPCO) and Veterans Administration (VA), Hospice & Palliative Care Centeris better serving our veterans and their families. 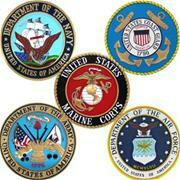 The Veterans Coffee event is one more way Hospice can salute those who serve in our nation’s armed forces.